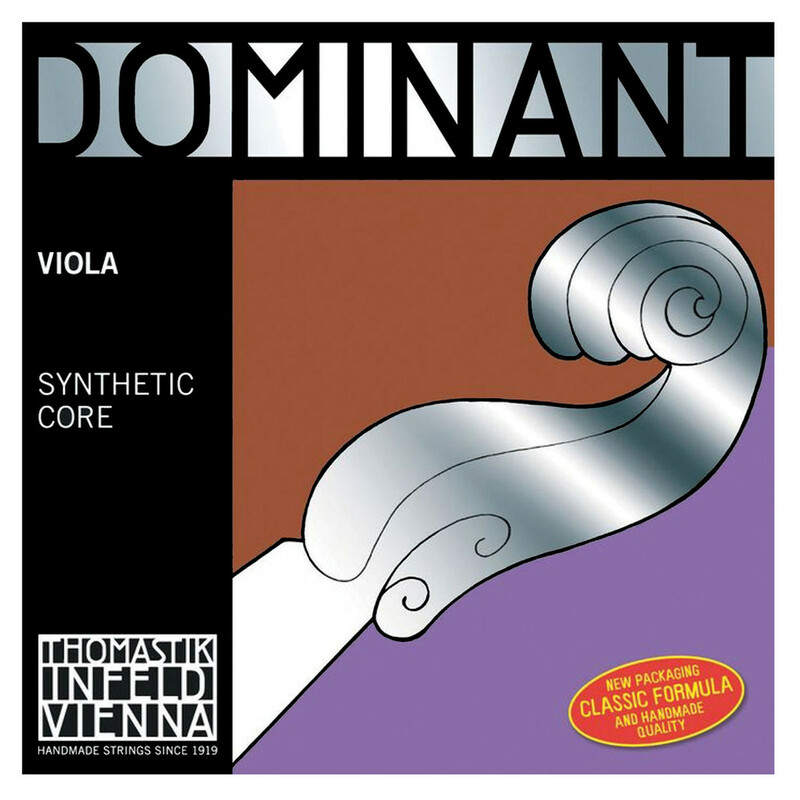 The Thomastik Dominant 16.5'' Viola A String offers a great blend of warmth, brilliance and clarity to your playing. This string features a flexible synthetic core that brings an identical likeness to that of a real gut string. The string is aluminium wound for great flexibility and tonal versatility. The sound produced is soft, yet maintains its clarity amongst the rich overtones. This string is designed to fit 16.5 inch violas.